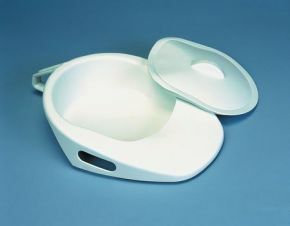 High Quality Fracture Bed Pan With Lid, Comfy To Use. This bedpan was great for my Mum when she got discharged from hospital . Easy to use and with it being wedge shaped was easy for her to slide onto it rather than having to be lifted on to it. Would highly recommend.